This morning we woke up to yet more steely grey skies. 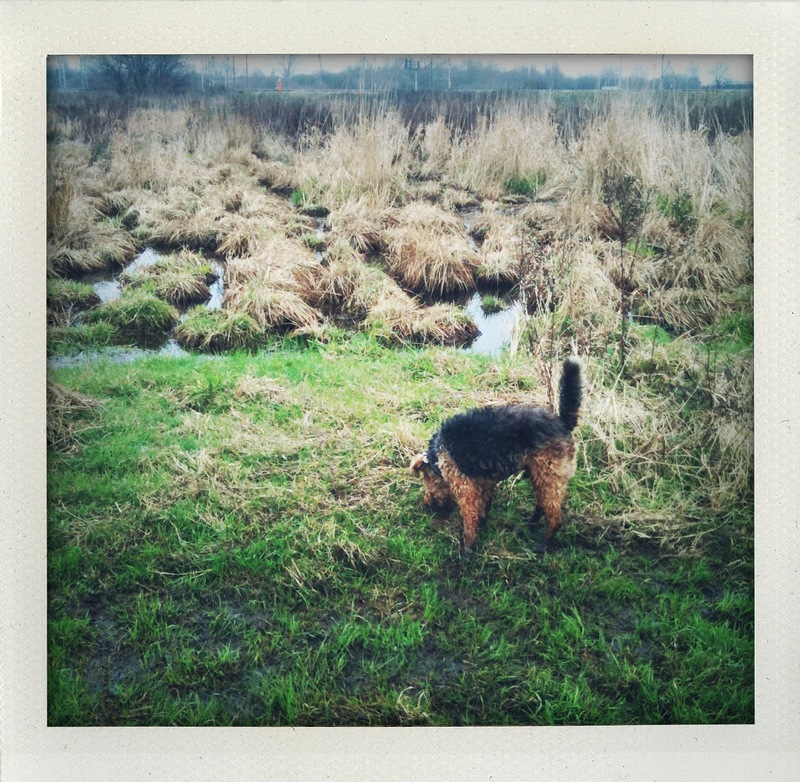 So the only thing for it was to get ourselves off to Walthamstow Marshes and see how much mud we could bring home with us. Lots, as it happens. The sight of Edwyn racing through water sodden marshes and huge puddles the size of ponds was majorly uplifting and the fact that the water didn’t quite make it over the top of my boots was a bonus. Thank goodness for London’s big open spaces. And dogs.